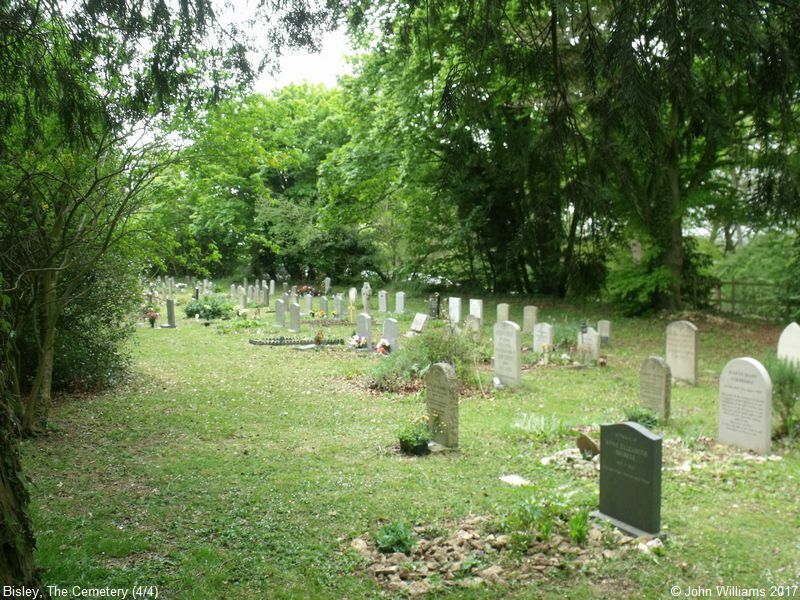 This Cemetery or Burial Ground was founded about 1914, and we understand it is still open. 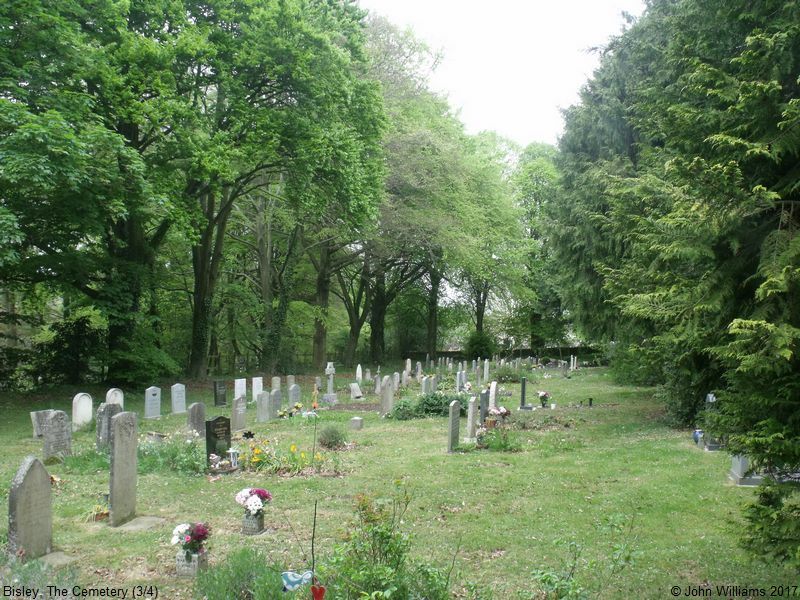 Bisley Cemetery occupies a lengthy triangular plot on the east side of Holloway Road, south of the village. It contains 2 Commonwealth War Graves - those of Private J.A. JORDAN, who died 19 Dec 1918, and Lieutenant Michael Thomas Carey SADLER, who died 1 Oct 1942, aged 26. The gates to the Cemetery are of black wrought iron, embellished with white lettering. The gate on the left has the initials "M-T-C-S", and that on the right the dates "1916-1942". One might assume they were erected in Lieut. Sadler's memory. One source in my possession suggests it opened 1914, but I have been unable to verify this. It is not mentioned in Kelly's Directory of 1923, nor in any sources I've been able to discover online. According to their Handlist of Sources, there are no records held by Gloucestershire Archives. 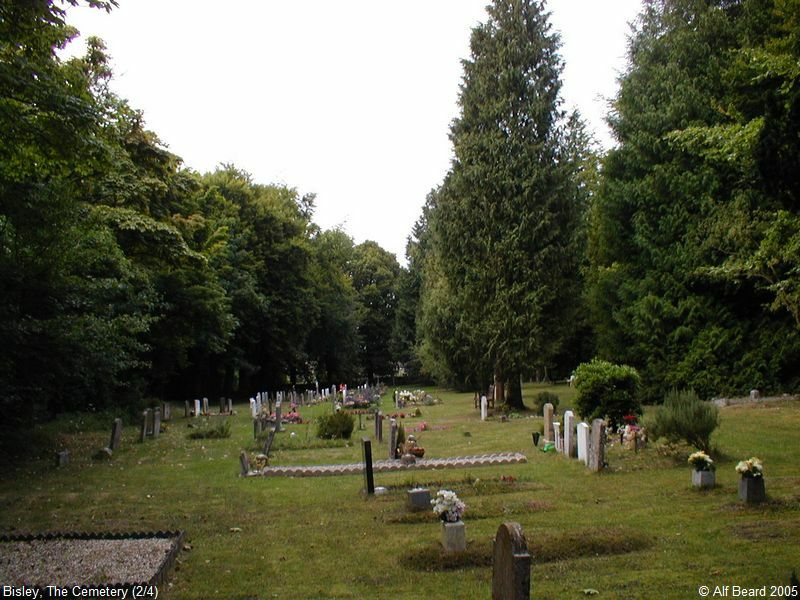 Bisley Cemetery, Bisley shown on a Google Map. Information last updated on 16 May 2017 at 11:51. 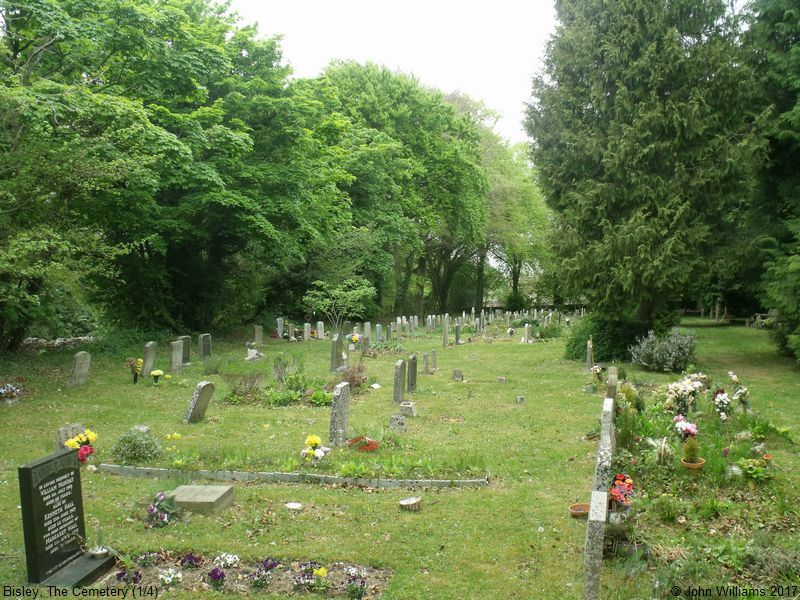 Please also remember that whilst the above account may suggest that Bisley Cemetery remains open and accessible, this may not remain so. This Report was created 8 Apr 2019 - 01:11:28 BST from information held in the Gloucestershire section of the Places of Worship Database. This was last updated on 7 Feb 2019 at 07:45.